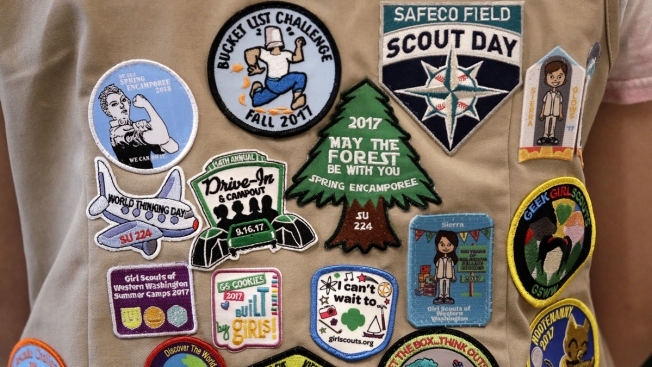 In this June 18, 2018, file photo, patches cover the back of a Girl Scout's vest at a demonstration of some of their activities in Seattle. 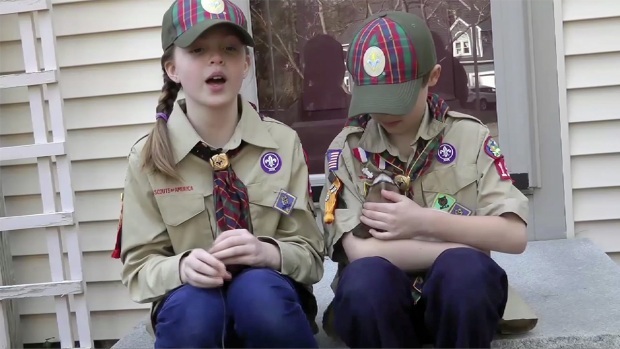 The Girl Scouts of the United States of America filed a trademark infringement lawsuit on Monday, Nov. 5, against the Boy Scouts of America for dropping the word "boy" from its flagship program in an effort to attract girls. 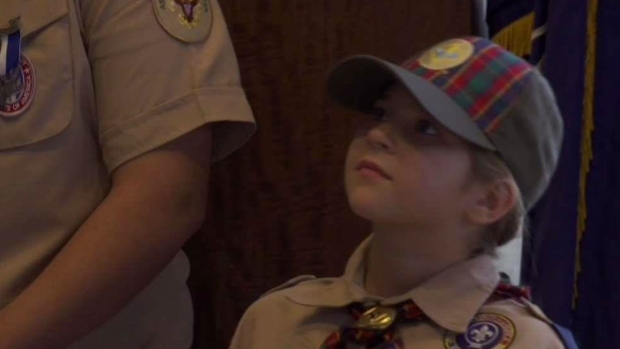 The Girl Scouts of the United States of America filed a trademark infringement lawsuit on Monday against the Boy Scouts of America for dropping the word "boy" from its flagship program in an effort to attract girls.